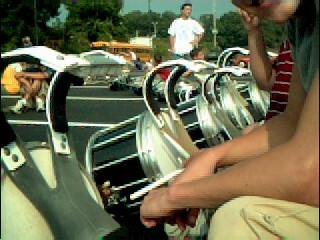 half of snare line durring practice (8/30) sitting down while mr kraus and people fix things. 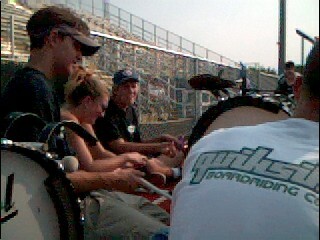 other half of snare line durring practice (8/30) sitting down while mr kraus and people fix things. 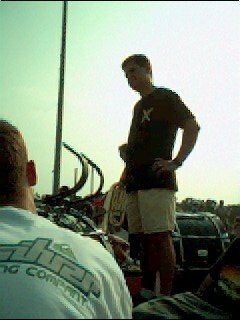 Rob Teare, Jim Settelmaier, and Paul Bodenschantz durring practice (8/30) waiting to go on field for final runthrough before friday's game. 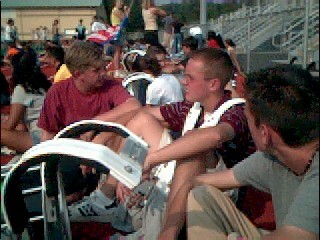 John Kuhn, Decon Byrne, and C.J. 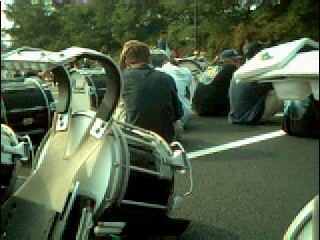 Avalli durring practice (8/30) waiting to go on field for final runthrough before friday's game.